McDonald, J., & Stockley, D. (Eds.) (2010). Pathways to the profession of educational development. New Directions for Teaching and Learning, 122. I’ve just finished reading this wonderful resource for educational developers, and am so pleased to be writing a review so I can strongly encourage you, regardless of your ED career stage, to immediately take the time to read it. It is eminently readable, and the nine chapters offer a rich array of perspectives on ED history and current practice. Situated in international ED history, Karron Lewis’ opening chapter provides an overview of the evolution of educational development centres, including the differences in growth in the US, UK, Canada, and Australia. She notes the importance of links to the culture of the individual institutions and outlines different models of educational development that have me thinking about where my own centre and my efforts at SoTL advocacy would fit. Mary Deane Sorcinelli and Ann Austin tease out differences amongst educational developers’ career pathways in their large US and Canadian study. They discuss influences on educational developers’ work, noting that Chairs and Deans have the least influence; faculty members and senior administrators the most. This highlights an ongoing challenge to ED work: Given that Chairs and Deans can be powerful allies when it comes to curriculum work, teaching criteria for promotion and tenure, and the overall valuing of teaching and its activities, how do we engage in conversations at this critical level? 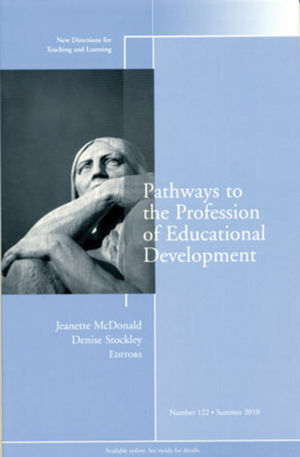 Jeanette McDonald’s chapter on pathways into educational development is work with which many of us are familiar (it has been presented at several conferences and in fact, many ED people contributed to the data). Mapping out summary threads from 18 ‘case studies’, for me, this chapter opens a number of avenues for further inquiry into this recent area of interest: What draws people to become educational developers and with what do they identify? “Conceptualizing evolving models of educational development,” by Kym Fraser, David Gosling, and Mary Deane Sorcinelli, outlines three models: ED focused on the individual teaching staff member, ED focused on the institution, and ED focused on the sector (p. 50). Under each of these, they map international examples – I admit I wanted a cheat sheet graphic by the time I’d finished reading, so comprehensive is their summary of models! Lynn Taylor’s chapter brings the educational development focus back to its links within the disciplines. She offers a framework (in use by a number of other authors) for examining ED work in which attention is paid to “substance”, ”language and symbols”, “modes of inquiry”, “organization”, and “values” (pp. 60-61) as a way of understanding disciplinary distinctions. Her recommendations for the ways in which disciplinary processes can influence ED work serve as a good reminder as we work with departments. The chapter by Debra Dawson, Joy Mighty, and Judy Britnell conceptualizes educational developers as institutional change agents, promoting the need to move from a consideration of individual needs to multi-dimensional needs. They assert that prior lists of competencies for educational developers have ignored the importance of educational developers gaining skills in leading change. They offer Kotter’s (1996) model of leading change as a framework for ED work – and discuss the importance of step one: framing the urgent issue that would necessitate change. Herein are excellent recommendations for leading any kind of institutional change. Carolyn Hoessler, Judy Britnell, and Denise Stockley write about something that is becoming a central theme of both ED and SoTL conferences: How do we assess the impact of our work? They begin with some reflections on scholarly teaching versus scholarship of teaching and learning (I think this will be an ongoing debate in the discipline, especially with founders in SoTL such as Keith Trigwell asserting that SoTL is not about focusing on peer-reviewed publication, but is about impact on student learning (personal communication, October, 2010), but I digress). The list of components (teaching excellence, consideration of existing educational research, reflection on own teaching and own research about teaching, and research on teaching and learning (p. 87) is accompanied by evidence to match each area – this mapping for alignment helps focus a spotlight on particular areas of professional activity. What values draw people into educational development? That’s the question posed by David Gosling in his chapter that explores the notion of values – and what happens when our personal values are at odds with those of the institutional contexts in which we work. He offers SEDA’s and POD’s value statements as points for consideration: I wonder how each of our centres would map against these value statements? Is it something we articulate in our work? What is our role as public intellectuals in [politely] challenging the institutional values when they seem to be at odds with our work? Joy Mighty, Mathew Ouellett, and Christine Stanley’s chapter closes the book – and yet, leaves us with challenging concerns as they tackle the question of whose voices are absent from the educational development landscape. 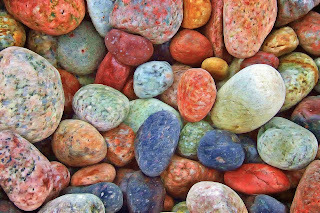 Written from their perspectives as past presidents of STLHE and POD, they ask us to ponder how to redress imbalances in diversity in our discipline, and to challenge our own implicit assumptions regarding our status and associated power. We could extend their questions not only to our discipline but also to our work: How do we reach those who don’t come forward of their own accord, and in what way are we framing our work such that some feel excluded? My overall sense after reading the book is that it provides a wonderful snapshot of where we are. In some cases questions for where we might go next are stated; in some they are left for the reader to explore. One of the rich offerings of this volume, however, is the lists of references at the end of each chapter. For anyone thinking of conducting research into educational development, the references comprise a cornucopia of necessary sources. It will be exciting to have the topic re-visited in 5 years or 10 years time – and examine what progress we have made. I just want to close with thanking Marla Arbach for soliciting reviewers and sending me this book: I find these opportunities (and my corresponding commitment!) are what’s needed for me to take time to read current literature – something I see as fundamental to doing good work, as it provides me the opportunity to think, to reflect, and to pose questions about where I might next take my work.